Is your RV protected against road risks? When it comes to “getting away from it all” you can’t beat a family getaway with a recreational vehicle. From coaches you drive to the simplest of teardrop trailers, RVs make that weekend escape feel a little more like home. Before you head out on the highway, however, are you — and your RV — fully protected? Besides taking care of your car or truck (or even a motorcycle) with auto insurance, you should also take care to insure that motorhome, travel trailer, or fifth wheel, or popup with appropriate coverage. If you have a motorhome that you drive, you’ll need to insure it just like you would a car or truck. If you’re towing an RV like a travel trailer or teardrop, not all states require extra insurance. However, it’s always a smart idea to be insured as much as you can, even if the laws don’t require it. 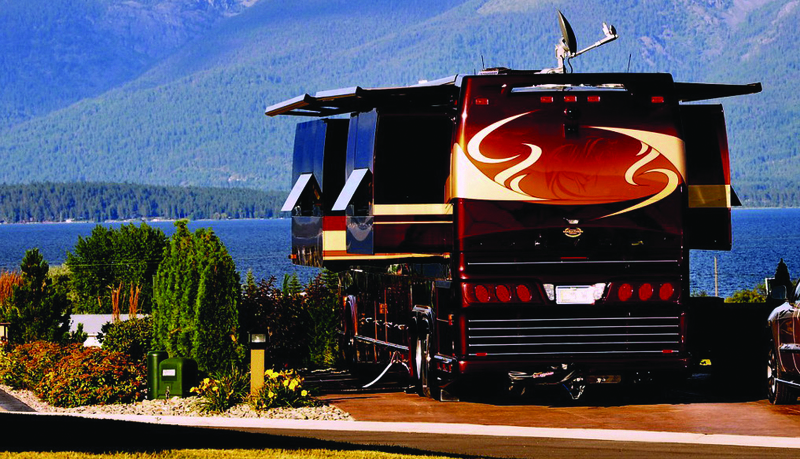 RVs can include everything from a working kitchen to HD televisions and portable propane tanks. Plus, you’re likely heading out to campgrounds with fires, the wilderness with rockslides, or areas near large bodies of water that could flood. Bears could break in, a tree could fall, or you could just get into a fender-bender while backing up. There’s a lot to cover. How often will you stay in the RV? Are you going to use it a few times a year or live in it full-time in the summer? How far will you take your RV? Are you crossing country borders to visit Canada or Mexico? What type of equipment are you taking in the RV? Are you bringing computers and expensive cell phones? What would you do if the items or the RV was damaged or stolen? Will you install custom features in your RV? These might include expensive electronics or amenities like a dishwasher or satellite dish. All these, plus the exact type and class of RV you will own will impact your insurance cost and your needs. Be sure to know the answers to these and other questions about your RV when you talk to your insurance agent. Knowing all the facts is key for providing you with the perfect amount of coverage. Happy camping!